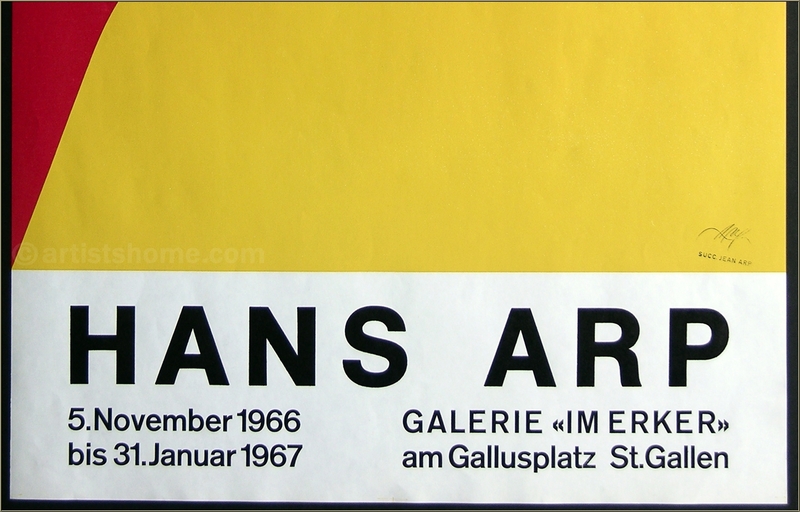 Genuine exhibition poster "Affiche St. Gallen I", which was printed on the presses of Erker in Switzerland in the year of the artist's death. With the estate stamp "succ. 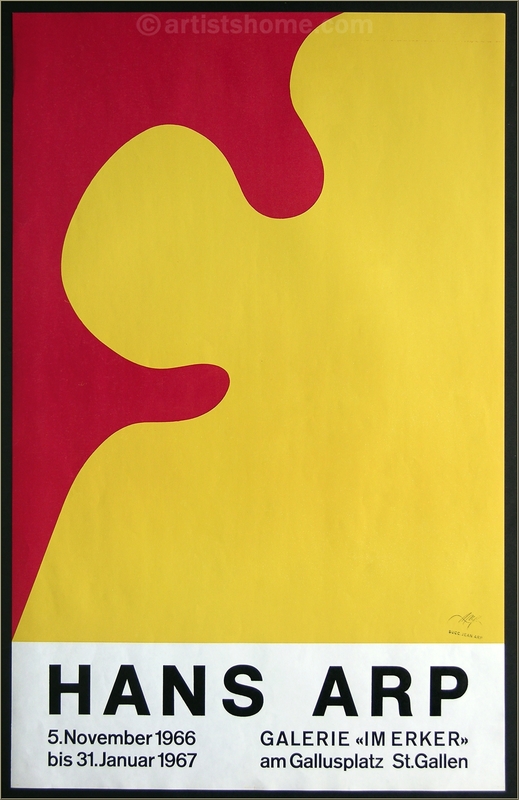 Jean Arp" lower right. 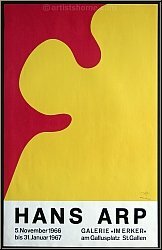 Medium / Technique: Original lithograph in colors - "Affiche St. Gallen I"